The world’s most northerly capital combines colorful buildings, quirky, creative people, eye-popping design, wild nightlife and a capricious soul. Reykjavík is strikingly cosmopolitan for its size. It's merely a town by international standards, compared with London or Paris. It's loaded with captivating art, rich culinary choices, and cool cafes and bars. The capitals recent surge in restaurant openings, many of the highest standard, are expressing all manner of culinary creativity. Cafes by day turn into restaurants and bars at night. Tapas-style dining, high-concept Icelandic cuisine and burger joints all rub shoulders. Then join the late-night party. The music scene is epic: excellent festivals, creative DJs gigging and any number of home-grown bands. You can get a full primer on Icelandic history right in central Reykjavík. Its Settlement Exhibition built around the unearthed Viking longhouse of the area's earliest inhabitants to the enormous National Museum, keeper of the country's most precious artifacts. In the Old Harbor you can entertain the kids at an exciting Saga Museum, or learn about the area's maritime history. And, as you make your way around, try to slip behind the shiny tourist-centric curtain to find today's people, who mix aesthetic-minded imagination with an almost quaint, know-your-neighbors sense of community. The capital's art museums, shops and galleries are a perfect insight into contemporary city life. They include outstanding exhibition spaces, such as the Reykjavík Art Museum and National Gallery, as well as shops featuring cutting-edge Icelandic design. Edgy contemporary art galleries such as those in the Marshall House showcase emerging and internationally famous Icelandic artists. Reykjavík also presents the chance to see Icelandic cinema with English subtitles. Or, wander the streets photographing creative graffiti and public art installations, like the ever-popular seaside Sun Voyager sculpture, which changes guises along with the light. Even if you come to Reykjavík for a short visit, be sure to take a trip to the countryside. Tours and services abound, and understanding Reykjavík and its people is helped by understanding the vast, raw land they anchor. The majority of Icelanders live in the capital, but you can guarantee their spirits also roam free across the land. 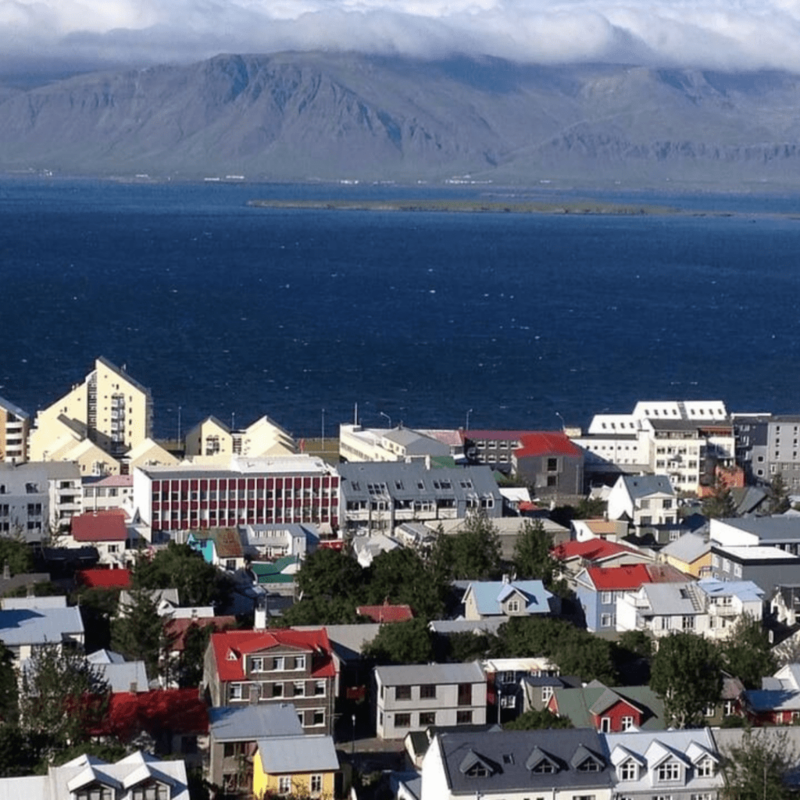 Absorb what you see, hear, taste, smell – all part of Iceland's rich heritage.Take Reykjavík, then add its snow-topped mountains, churning seas and crystal-clear air, and the chances are you'll fall helplessly in love, heading home already saving to return.